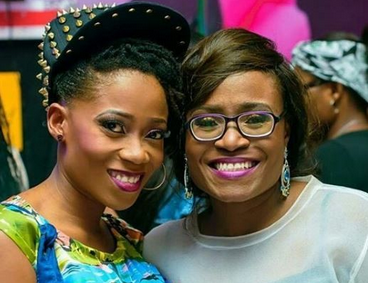 Funke Bucknor, Tosyn Bucknor’s sister yesterday confirmed her death and today she has shared another emotional post saying losing Tosyn is hard. ‘’Hey you, Who will send me those WhatsApp messages and voicenotes now to tell me that the internet never forgets or that I shouldn't have written this or I should delete or archive that post . Who will order me to bring takeaway for them now? Who will introduce me to new music now ( though your love for alternative music i didnt get oh lollll) Or even reach me new dancesteps? The real contradiction, my only sibling , my only aburo. You told me to live my best life jare and go to where the love is. We had great plans oh , some of which we made and discussed at this lunch an overdue one at that I didn't shed one tear when my dad passed away but this one is hard oh ah it's hard,’’ she wrote.